seeking to empower the changemaker in all of us. 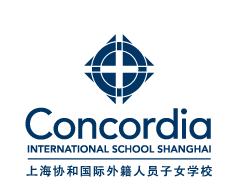 citizen.c is co-ordinated by the c.itizen collective at Concordia International School Shanghai. citizen.c is a voice for the whole community, by the whole community. Our own Concordia community members can help you produce a written, podcast or video series. Creative minds love to be connected, so don't hesitate to try something new with people who care. Perhaps you have enjoyed certain aspects of citizen.c and you'd like to propose some ideas for consideration. We'd love to hear from you! Your input is valued. If you've been motivated to action by any our our programming, that's a story worth telling. if you would like to get in touch with the collective that oversees citizen.c then use the form below. Thanks for taking the time to send us a personal message. While we're all pretty busy with the business of education, your ideas are important and we'll respond as soon as possible.